Join us for the inaugural concert of pianoSonoma Boston! 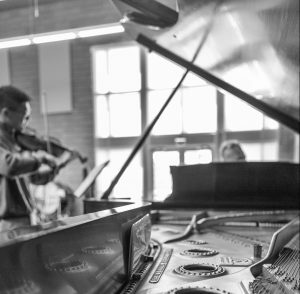 Our Artists in Residence will present an eclectic mix of music by Glass, Beethoven, Adams, and Piazzolla; the program culminates in a new arrangement of Bach’s Brandenburg Concerto No. 5. Find the complete program here. The concert will take place in Seully Hall at Boston Conservatory at Berklee. Admission is free of charge.